With most of them earning millions of dollars per year, there’s no doubt that their homes have incredible interior designs and features. Here is a look into the most stunning celebrity homes, each with a plethora of bespoke furniture that will make your jaw drop! The bedroom of Hollywood actress Cindy Crawford boasts a stunning rustic aesthetic. Complete with an open fire, cream drapes and large wooden windows, this room’s mahogany fitted bookcase gives the room a timeless traditional aesthetic. Leonardo Di Caprio’s bedroom is full of bespoke furniture, including a custom made wardrobe very similar to Custom Creations’ sliding door wardrobes in Bournemouth. This wardrobe seamlessly compliments the stone wall, floor and spacious layout to create a modern, Asian aesthetic. Kourtney Kardashian’s house boasts a wealth of patterned design. Seen on her bedroom flooring, curtains and blinds, the black fitted wardrobe and bespoke headboard compliment these to craft a stunning modern finish. The Beverley Hills home of novelist Jackie Collins is nothing short of beautiful. Filled with natural light, the master bedroom has a pine wood fitted bookcase that perfectly completes the cream aesthetic. If this design has inspired you to change your home, why not contact Custom Creations for a range of fitted furniture in Bournemouth and Southampton? 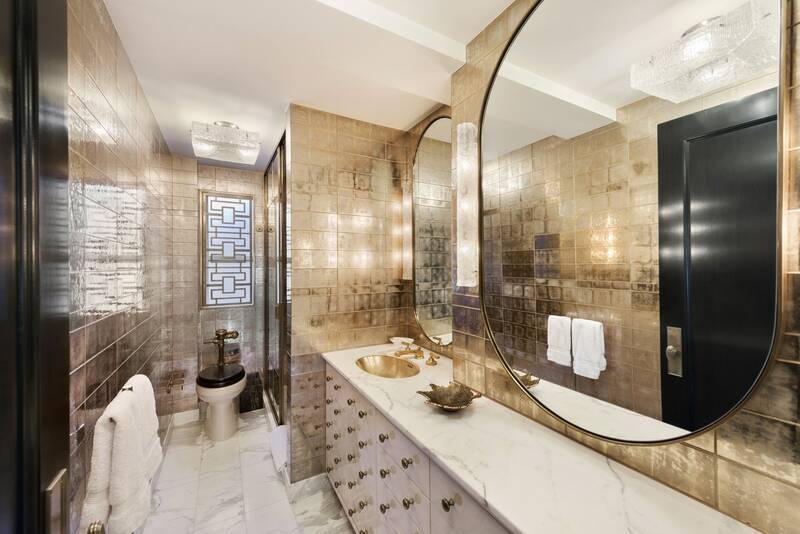 Cameron Diaz’s Manhattan apartment has a stunning gold-effect bathroom. Whilst its marble flooring and drawers create an affluent aesthetic, the room’s large fitted vanity unit is undoubtedly its best feature and the envy of those who like to take their time getting ready. Discover how these stunning celebrity designs can be created for your home with Custom Creations’ range of bespoke furniture and fitted bedrooms across Southampton and Bournemouth. Whether you desire a custom made wardrobe, fitted vanity unit or something more, contact Custom Creations now on 01202 823 231 for more information.